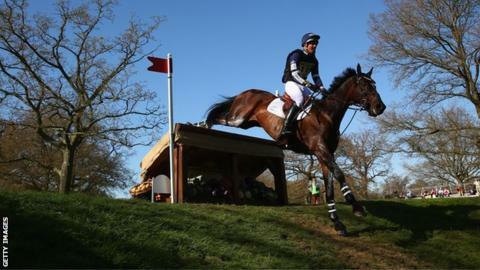 New Zealand rider Jonathan Paget has been stripped of his Burghley title after his horse failed a drugs test. The Equestrian Federation (FEI) issued a partial decision which accepted that the 30-year-old's horse Clifton Promise tested positive for banned tranquiliser Reserpine at Burghley in September. Paget is currently serving a provisional suspension from national and international competitions. A full tribunal hearing is scheduled for 3 June. All the points and prize money won at the event by Clifton Promise have been forfeited. The reigning badminton champion had requested that the FEI tribunal rule separately on automatic disqualification from Burghley prior to the full hearing. World number one Andrew Nicholson has been promoted to 2013 Burghley champion as a result, winning it for a second successive year with Avebury. Britain's William Fox-Pitt and Parklane Hawk move up one place to third.